One Monday evening, a man on his way home loses all his money to muggers. He calls his wife for help because he’s now stuck and he needs bus fare. Thinking fast, she sends him money through his phone so he can withdraw it and get home. 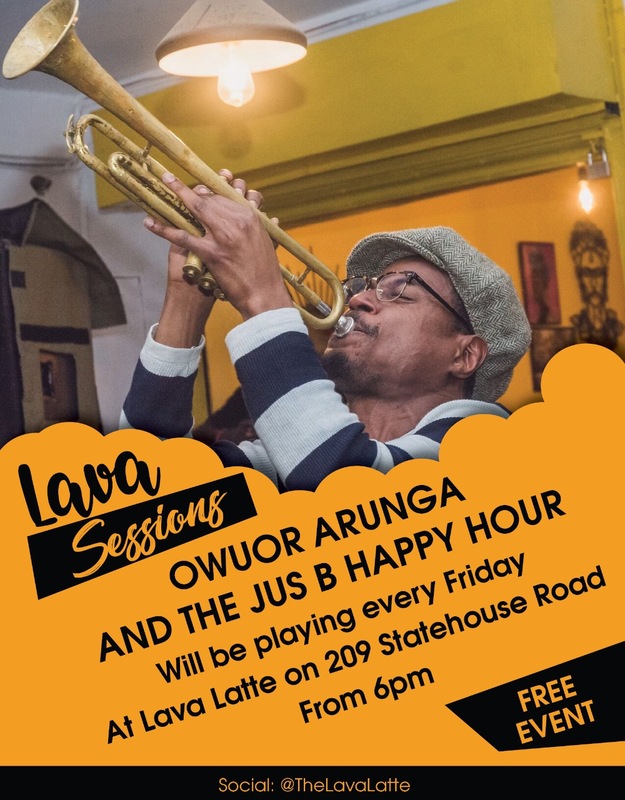 In 30 minutes he’s on a bus to Thika. In another hour, he’s home. 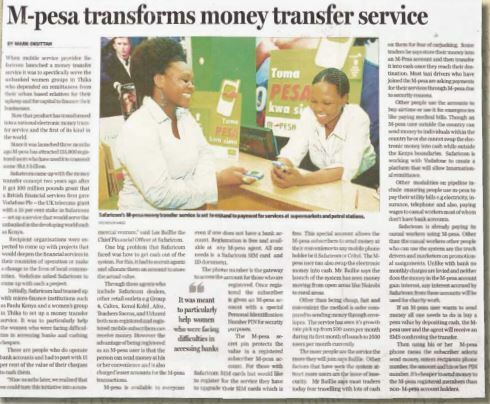 There’s nothing unique now about this story, except that it happened in 2005, 2 years before the launch of MPESA. The lady in the story was a participant in a new project that would allow her and her chamas to repay their loan to Faulu Kenya more efficiently. In theory, and in it’s initial design, that’s what the project was doing. But that single transfer presented a solution simple that no one had thought of it. The researchers placed it among the quirks the data was showing them, and had to get a few other people to try and explain exactly what it meant. A few months before, a team led by Nick Hughes, Paul Makin and Susan Lonie had set up camp in Kenya for a pilot phase of an ambitious but limited project. They recruited Faulu Kenya, the biggest microfinance institution at the time, and with it some of its customers. The idea was to reduce the need for weekly chama meetings where loan repayments were pooled before being taken to a physical branch. All this could be done over the phone. When the pilot phase participants in Thika, Mathare and the city center first used their phones to send money, it was a simple transaction. Or rather it looked like it, because they had been trained and handed new phones with some cash loaded as mobile money balance. For the first transaction at least, all they needed to do was key in their group treasurer’s phone number and send the week’s contribution. The treasurer then sent it to Faulu Kenya, and the instalment was recorded. At its simple basics, the system worked as it should have. 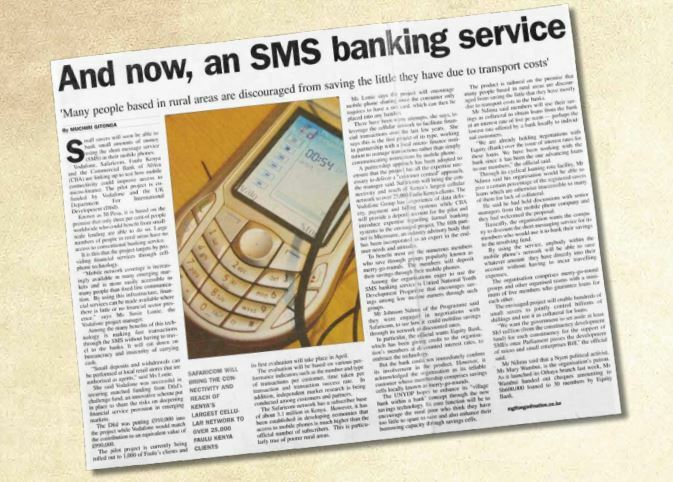 But under it was the skeleton for the mobile money transfer service it would become. The ability to send money to the treasurer meant that the members within each chama could send it to each other. The practical reasons for this were helping each other with loan repayments, but soon other things such as using the service to pay each other for goods and services soon came up. The Monday evening transaction falls here, among this new uses, but with one little but important difference. The man wasn’t a member of the pilot testing phase, and this meant that the people within it were finding ways to solve problems for people outside the network. For a service that would be built through an ever-widening network effect, such transactions meant a lot more than they seemed at the time. 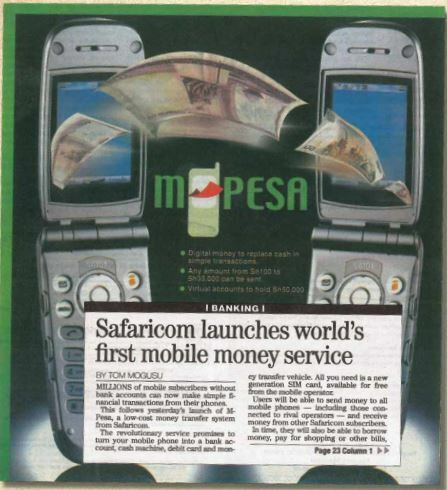 On Tuesday, March 6th 2007, Safaricom launched MPESA with the tagline “Send Money Home.” All you could do on this new service with a catchy name was deposit or withdraw money, transfer it to someone else, or buy airtime. These seem like limited options when compared to the system MPESA is today, a decade after. But they were simple solutions to critical problems. The journey that led here began lower south, in Johannesburg, at the World Summit for Sustainable Development in 2003. The UK government, through the Department of International Development (DFID), had launched a new challenge fund three years earlier to improve financial accessibility for the bottom half. But its uptake was low. At the conference, one of the fund’s representatives challenged Nick Hughes, then working for Vodafone, to send in a proposal. Hughes sent it a few months later; a proposal to use a telecom network in East Africa to help people pay back microfinance loans. The next year, DFID approved the proposal and gave Hughes and Makin 1 million pounds, to be matched by their employer. What they had proposed was a revolutionary idea because it would mean people wouldn’t need constant proximity to a physical microfinance branch. It was also unique about it is that it hadn’t been done, and Safaricom, Vodafone’s link to Kenya since 2000, was a purely telecoms company. Some aspects of the future were already showing, with people using airtime, for example, as a currency. But in 2003, that was still too small to predict. Neither Safaricom, nor Hughes and his colleagues, had the expertise to do this. In fact no one did, because it had never been done before. When they set up shop in Kenya in early 2005, they had little to go on. For a microfinance partner, they turned to Faulu Kenya. Established in 1991 by a Christian NGO partially funded by DFID, Faulu had thrived in a burgeoning microfinance market. Its target market was chamas so it was perfect for the project because of the existing networks. Safaricom was also onboard, as was Sagentia, which would build the software for the system. Other than human resource and the complexity in training, there were many other significant issues. The server for the system, for example, was first delayed due to paperwork issues, and then had to be moved from Kenya to Vodafone because of internet speed issues. Its successor would eventually be housed on an IBM server farm in Germany for much of the next decade. There were also problems at the heart of the system. Faulu Kenya, Hughes later wrote in a paper published by MIT, used a purely physical system for its records. Each transaction had to be catalogued properly, and stored safely. With a virtual network now intergrating into this, Faulu’s insiders needed extensive training. For the new agents, giving cash for efloat, what MPESA money exists as on your phone, was risky. Cash has always been king because you can feel it and smell it; efloat was just a number on a screen. There were other little quirks; like how participants kept losing their SIM-cards. Despite all these, the system was running by late 2005. By early 2006, it was becoming something else. Three years after the 2005 transaction, another important one took place in a posh office on Harambee Avenue. It was probably the transaction that saved MPESA. Like the first transaction, the amount was not important, but it was what it did that was. Or rather who it was for. The day before, in early December 2008, the acting Minister for Finance, John Michuki, and the head of Central Bank called for an audit of MPESA. By itself the call shouldn’t have been much, but everyone knew it was more than just an audit. Less than two years after its launch, it was clear MPESA’s growth wouldn’t be phenomenal, it would be supersonic. This was a multi-pronged assault to halt or slow down this growth. The first suspect for this assault was what The Star, then The Nairobi Star called “a big bank cartel,” an “ad hoc committee” of sorts that was formed to kill MPESA. This new mobile money transfer system was threatening their traditional market. Over dinner, the bankers explained to Michuki that this new system was not only a unregulated, but it was also dangerous. At the base of it, the bankers told the aging bureaucrat, the service was a pyramid scheme in disguise. Kenya has a long history with pyramid schemes; a year earlier there had been about 270 of them in progress. Many had collapsed like a deck of cards, shaking the financial system at its core. There were other questions at the dinner table. Where was Safaricom storing all this money since it wasn’t a bank? Who was auditing the process? How was it making sure that people wouldn’t wake up one morning and find their MPESA balances worthless? Why couldn’t, one banker asked, Safaricom decide whether it was a telecom or a bank? Although Michuki and the CBK governor had expressed confidence in the mobile money service, these were disturbing questions. The growth numbers on the table meant the political fallout from this would be worse than anything else. Some of the questions around that table had been asked in late 2006, as Central Bank’s officials pored through the proposed service. They had to approve it, and this meant seeing and testing the pilot phase, seeing how efloat and real cash interacted, and testing its security. Like Safaricom and everyone else a year before, they started from scratch because such systems didn’t exist at all. At that point though, Safaricom’s own targets for this new system were a mere 350k subscribers in its first year. It had crossed this in months, clocking 1 million subscribers by 1st November 2007. As the economy ground to a halt after the elections, MPESA’s numbers soared as people found new and ever-increasing uses for it. It was still a basic system that allowed them to send money to each other, and at that time, helping friends and family was a matter of life and death. By July 2008, MPESA had three million subscribers. It was growing faster than anything before it, and banks were already jittery after missing out on the Equity Bank wave a few years before. Safaricom itself had taken almost five years to reach those numbers. For Michuki, a bureaucrat known for streamlining whatever public sector unit he touched, a failure of such a service under his watch was an existential crisis. He needed to be sure he wasn’t wrong. This was new technology, not just for him, but for most people. Up until this point, the war on MPESA had been fought at press conferences and over phone calls. It had been the subject of rumors, and at the dinner table, mostly conjecture. In that posh office at Treasury, in Michuki’s typical early morning meetings, Michael Joseph realized he had a bigger crisis on his hands. He’d repeated the basics of how the service works many times before but it wasn’t enough. The money was held in a trust account at CBA, to which no Safaricom employee had access. The bank itself was a legal bank with a banking license. He’d also tried to explain that MPESA wasn’t a bank, and wasn’t trying to be one, but a simple money transfer service. But this wasn’t enough. An audit report built on the bias that the service was dangerous would mean the death of a new and thriving revenue stream. “Do you farm back home?” Joseph asked Michuki. “I do,” the older man looked up and answered. Michael Joseph then used Michuki’s phone to send money to the farm supervisor, who confirmed receiving it to his boss. He was asked to withdraw it and report back. For Michuki, it was a solution to a problem he hadn’t thought he had. The audit report came back in late January 2009, a day after his stint as acting Finance Minister ended. MPESA had a clean bill of health, and would live to fight another day. From its limited scope in 2005, this new service would soon become the poster child for mobile money transfer across the world. It would propel its host company into Africa’s 4th Most Valuable Brand, and the most valuable outside of South Africa, within its first decade of existence. The first person to hear and approve its simple and catchy name, outside the marketing and test teams, was a barman.